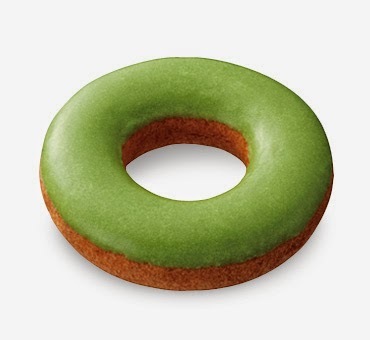 Popular Japanese doughnut chain, Mister Donut has released a limited edition range of Matcha Green Tea doughnuts. 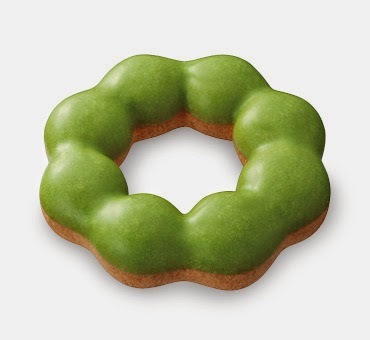 The Matcha doughnuts will be available from May 15 until the end of July, with Mister Donut offering six different styles of Matcha doughnuts to choose from. The doughnuts include the Pon de Matcha Choco, Krantz Ring Matcha Choco, Nama Choco Matcha Pie, Waff Matcha Choco, and Misdo Bits Matcha Mix. 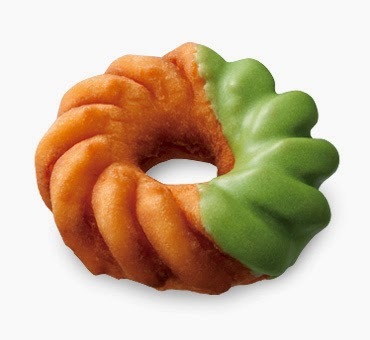 The Pon de Ring is Mister Donut’s signature doughnut and one of their most popular varieties. This version of the Pon de Ring called the Pon de Matcha Choco is coated with delicious Matcha chocolate. 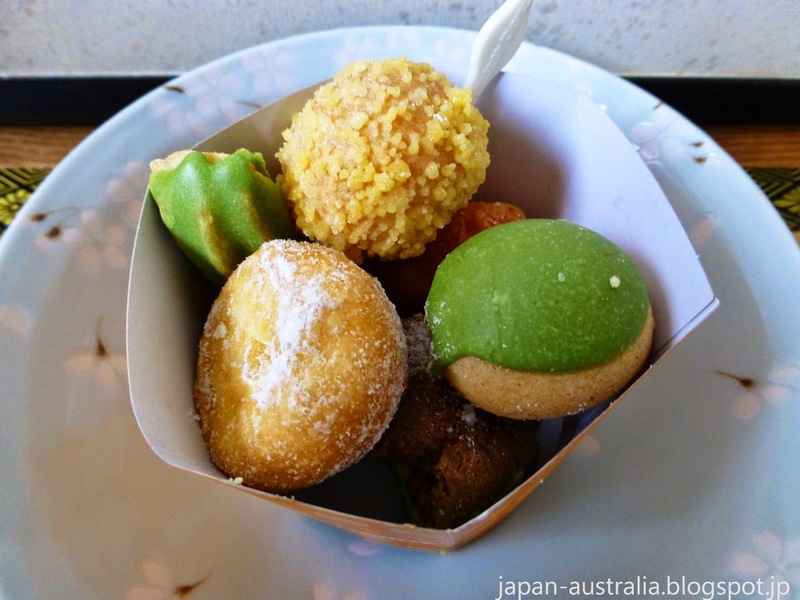 The doughnut has a mochi-mochi (chewy) texture and is a taste sensation. The Pon de Matcha Choco is 140 yen. The Krantz Ring Matcha Choco is vanilla flavoured with a soft cake like texture. The Matcha chocolate goes really well with the vanilla Krantz Ring doughnut. The Krantz Ring Matcha Choco is 140 yen. 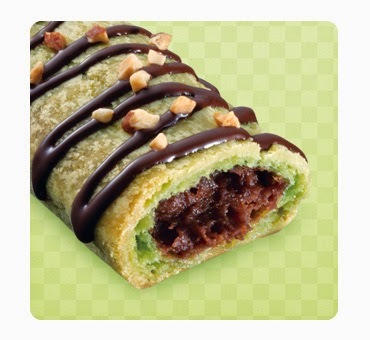 The Waff Matcha Choco is a new item on the Mister Donut’s menu and is a tasty treat. 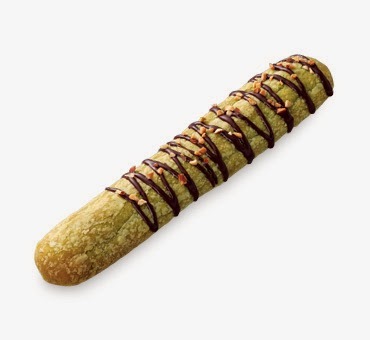 It has a light chewy texture with a buttermilk flavour, and is also coated with Matcha chocolate. The Waff Matcha Choco is 118 yen. The Nama Choco Matcha Pie is crispy on the outside with thick and soft nama chocolate on the inside. The Nama Choco Matcha Pie is 151 yen. Misdo Bits Matcha Mix is a selection of bite-size doughnuts that you can enjoy. It’s a great idea as it allows you to try a variety of doughnuts at the one time. 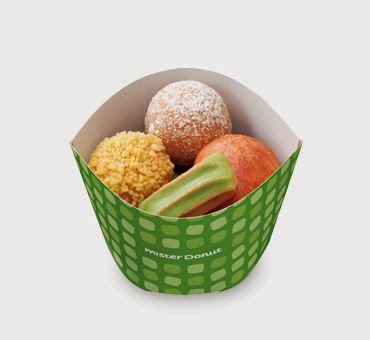 The doughnuts include Pon de Matcha Ball (Pon de Ring), Matcha Old Fashion Ball, Matcha Churros (coated in Matcha Chocolate), Pon de Golden Ball, Angel Ball (filled with Whipped Cream) and Strawberry (filled with Strawberry Cream). 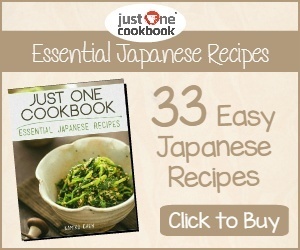 You can try these in three different serving sizes with a Small (6 pieces) costing 237 yen. 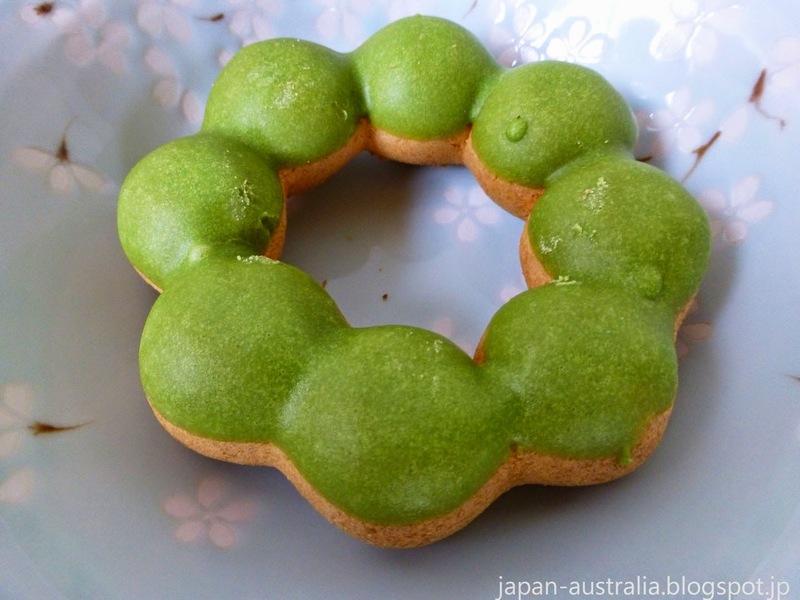 Japan Australia is fan of Matcha so we had to give these new doughnuts a try. We headed down to our local Mister Donut but could only find three of the six styles available. We were able to pick up a Pon de Matcha Choco, Krantz Ring Matcha Choco and Misdo Bits Matcha Mix. What did we think? The Pon de Matcha Choco was really good with a nice light and chewy texture. The Matcha chocolate was tasty but not as strong as we would have liked. The Krantz Ring Matcha Choco was OK but not one of our favourites. 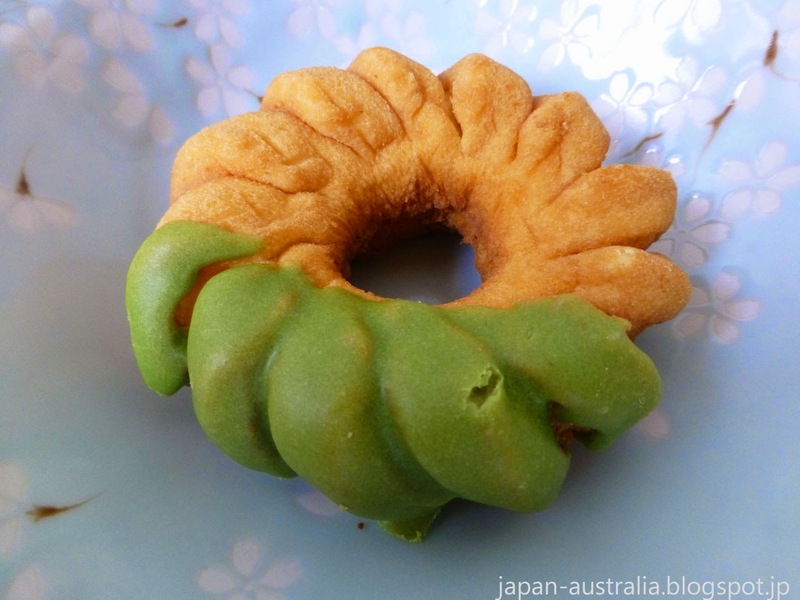 The doughnut was thick and dense and was not as easy to eat as the Pon de Matcha Choco above. The Matcha Bits Matcha Mix was our favourite of the three with a great selection of doughnuts. We really liked the Matcha Churros, which was light and sweet with that great churros texture and the Strawberry was a surprise hit with a chewy texture and sweet strawberry cream and corn flakes filling. They look good. I like green tea sponge cake myself. I once bought a really delicious one in Kyoto. This post is making me hungry! 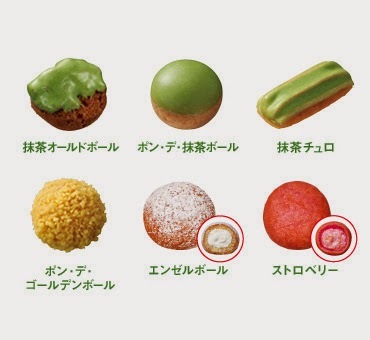 I tried these too, and is love the Pon de Matcha one. Yum. Dam. Why could they not have released these in november when I am there next... These look really yummy! Love matcha! Thanks Malice, I love Matcha, too! They have released Matcha items before, so there is always a chance you might find some new ones on your next trip to Japan.